Glass block window prices will vary based on whether you buy the blocks themselves or buy a pre-assembled unit, if you purchase standard blocks or high end blocks that have unique surface finishes or colors, as well as whether the installation is a simple replacement or needs to be custom sized, fitted and mortared in place. Buying per block is more expensive than buying pre-assembled units. The more expensive per block price is for specialty glass products that have unique finishes, patterns or colors. Standard pre-assembled glass block units (2 x 4) (4 x 4) (6 x 6) will be less expensive than custom assembled units. Obviously the grade of blocks used in the units will also affect price. The range is $100 to $800 for window installation cost. 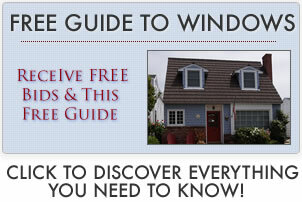 The cost is very similar to normal window installation. If you are using pre-assembled units that simply pop into place then you can expect the lower end of the cost scale. If the project is custom sized or uses individual glass blocks, there will be additional contractor costs involved with placing and mortaring the glass block windows. This was for custom job, mortared and installed. This was for custom job with a frame placed inside the mortar for additional reinforcement and installed.